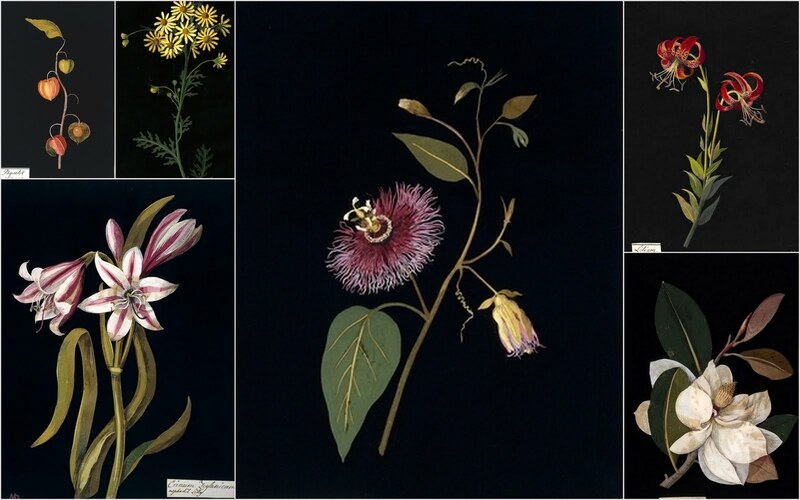 Mary Delany (1700-1788), whose work is exhibited in the British Museum, created over 900 paper “mosaicks” of botanicals which she began creating at the age of 72. In the context of the finished collage, the hole is less than a hundredth of the parts, and you might not notice it at first. (Can you see it in the bottom row of the leaves?) It is as round as a bullet hole. Could she have used a paper punch? No, a magnifying glass reveals the hole was hand cut. Is it absurd to put the whole turning episode of a woman’s life into a single composition she made so many years later? It’s no news to anyone that we make art of of the substance of our lives. Still, is the hole that very moment? Better to resort to a simile; the hole is like that moment. George Lansdowne bit into his niece’s life. When she was eighty, she replicated a hole, a cut circle representing an insect bite. Yet a real insect bite, though round, is also jagged. Mrs. Delaney certainly could have cut in a more irregular way. Instead, she made a perfect piercing. Who doesn’t hold out the hope of starting a memorable project at a grand old age? A life’s work is always unfinished and requires creativity till the day a person dies. Even if you’ve managed major accomplishments throughout your life and don’t really need a model for making a mark, you do need one for enriching an ongoing existence. It’s nearly impossible to see the shape of your life as you are living it, swimming through the bobbing detritus of the everyday. But occasionally huge events scissor your living into a shape, and you feel it sharply. At these moments, lived life takes on the feel of a found novel, as if you were a character in a piece of fiction, your author reaching in to cut you from one section, then paste you into another. But whatever the composition of the dry crystals she ground with a mortar and pestle, then mixed with liquid and adhesive, its source is something burnt. Carbon. Organic. Ashes. Is being burnt a requisite for the making of art? Personally, I don’t think it is. But art is poultice for a burn. It is a privilege to have, somewhere within you, a capacity for making something speak from your own seared experience. 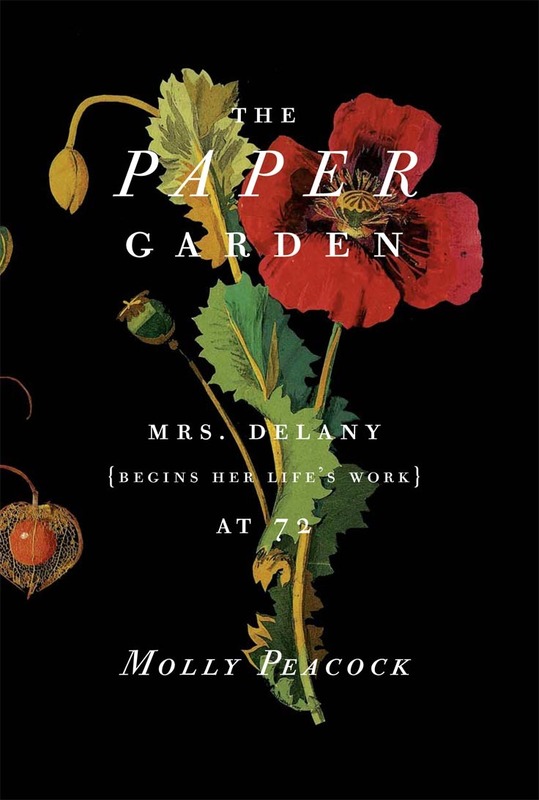 The Paper Garden is an exquisite book, written by Molly Peacock with as much care and attention to detail as the artist Mary Delany used in creating her mosaics. Both are done on paper. Both are an artistic expression of the lessons they learned through the lives they led. I was thoroughly fascinated by each of them. Bloomsbury publishers are offering to send a copy to one reader (U.S. or Canada only, please). Simply leave a comment for a chance to win, and I will pull a winner one week from today. Update: Winner of The Paper Garden is Frances of Nonsuch Book. Congratultions, Frances! This one looks so very good. I'm sort of fascinated by books about art and the artistic process, so I think this might be right up my alley. Wow, this book looks very cool — and right up your artistic alley! Please enter me to win a copy! I looooooved this book so much — I thought it was a fascinating biography (what a woman Mary was!) and a brilliantly-written biography (I loved Molly's shared insights as she researched Mary). I ended up buying a copy for my mother for Mother's Day, as she's a late-in-life aspiring artist — I thought she might find Mary's story inspiring. I love biographies and art, so this sounds like a book I would love. Those mosaics are stunning! I'd love to be entered in your giveaway. What gorgeous pictures and prose! Please enter me in this giveaway, Bellezza. I'll post a link to it in my blog's sidebar. And I feel pretty strongly that that one reader should be me. 🙂 This book is very attractive to me. Thanks for the offer! It looks interesting. Enter me please. I was enraptured with books on art for quite some time and for some reason, of late it's fallen off my radar. This does sound fascinating, and I'd love to enter. coffeeandabookchick at gmail dot comThanks, Bellezza! I've seen this book in bookstores for a while now, and have been attracted by its exquisite cover. Thanks for reviewing it. I particularly like the way you've arranged the photos… love the black background. 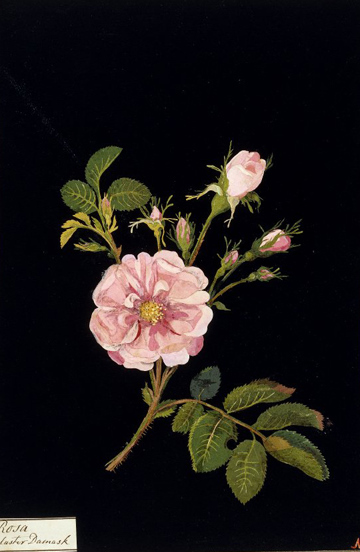 Arti, I'd love to take credit for the black background, but Mary Delany created that herself. She painted the paper before she places the hundreds upon hundreds of tiny cut-outs for her collage. It's so effective, isn't it? And, I like how the book's cover mirrors her work. wow, that looks amazing! I'd love to be entered to win this. I love intricate crafts and learning about the people who make them. I've not entered a give away in a while, but you have me hooked. I can't see how these are mosiacs from the pictures here, but they are beautiful. I'd love to take a closer look.I'm a sometime collage artist myself, though nothing as wonderful as these look like. Arti, my response (before Blogger erased it) was that I loved the black background, too. However, I can't take credit for that because the artist, Mary Delany, did that herself by painting the background before placing the 100's of pieces she'd cut to form the flowers. Wasn't that clever of her? It gives such a great impact, which is mirrored in the book's cover as well.